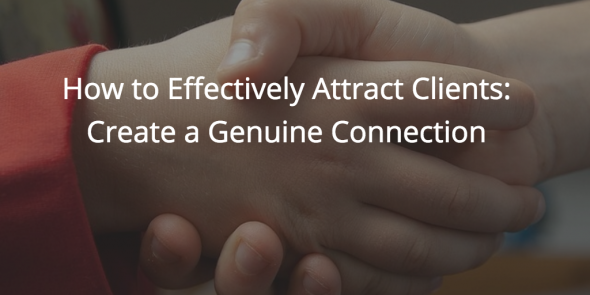 That’s what I’m going to talk about in this post – how to effectively attract clients by creating a genuine connection. Before I go on, I’d like to point out that this is not limited to attracting clients. No doubt, you know the impact recurring clients have on your freelance business. If you’ve got a handful of repeat clients that pay well and send a steady stream of work your way, the element of uncertainty decreases. More than convincing potential clients to take on your services, you also want to convert them into repeat customers. So, let’s dive right in. How do you create a genuine connection? Here are three things that will help you achieve these two things. Why do you buy a product? 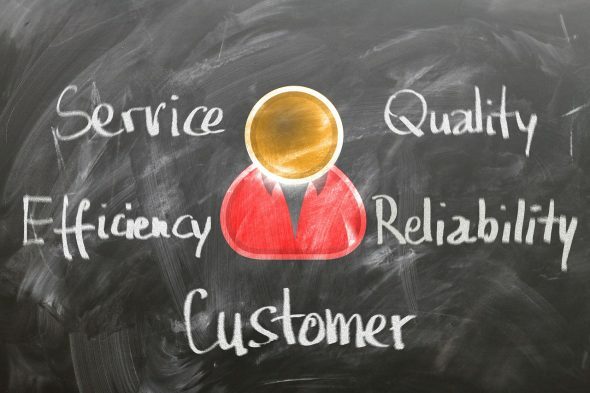 Why do you pay for a service? Because you have a need for it, or because you want it. This is the first step in creating a connection with prospective clients and deepening the same with existing ones. Think about it this way. If you’re a shoe person, and you pass by a shop window displaying a gorgeous pair of red heels, you feel desire rise in you. You stop and take a look. Thus a spark of connection is lit. Similarly, imagine that your ISP has been driving you nuts with their service (I don’t have to imagine this!). You need a new provider. The chances are that the provider that explicitly states the details that you need – guaranteed uptime, pricing, and other services that give them an edge over their competition – will be the one that catches your eye. In your case, you want to lay your cards on the table. What are you offering that clients need or want? Write this clearly on the services section of your website or in your email pitch/job application. Be as detailed as possible. Highlight unique solutions/approaches that make you better than your competition. Clients looking for freelance writers may be focusing mainly on the professional aspect, but they are also human, and part of being human is identifying with others. This is the second step in creating a genuine connection. In any case, you want to show a personal side to your services. 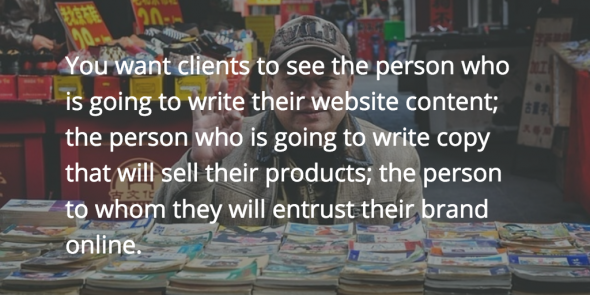 You want clients to see the person who is going to write their website content; the person who is going to write copy that will sell their products; the person to whom they will entrust their brand online. Thoughtfully and purposefully write your portfolio or pitch content with the aim of getting clients to say “I identify with this writer!”. What kind of clients do you want to attract? What kind of clients are you pitching to? Knowing what you want and what you stand for is imperative if you want a connection that is real – and not based on making a quick buck. How do you get your principles across? One way is to state them outright in your “services provided” section. List down topics that you specialize in or causes you believe in (for example, you prioritize nonprofit or philanthropy jobs). Indicate topics that you won’t write about and types of work that you won’t take on (for example, writing essays for students). 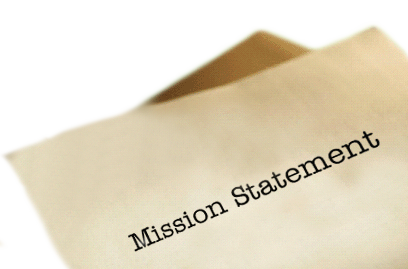 You can also have a separate page for your Mission Statement. By making your principles clear, clients will know exactly where you stand. Thus, you acquire like-minded individuals/entities, the seeds of a genuine connection planted. Creating a connection is an effective way to attract clients, but more importantly, it attracts the right clients. As a freelance writer, working with a handful of clients with whom you have a great relationship is better than having double the number of clients who give you a headache, don’t you agree? What are your thoughts and experiences on creating connections with clients? I’d love to read about them in the comments.